Earlier this year we discovered you could go for a ride in a NASCAR race car and immediately decided that this was something that had to be done. So my Dad got Price a gift card at graduation to do it. I decide that while it would be fun this could be Price’s thing to do and let him have all the fun while I got to take pictures. Plus I might have freaked a little, ha. 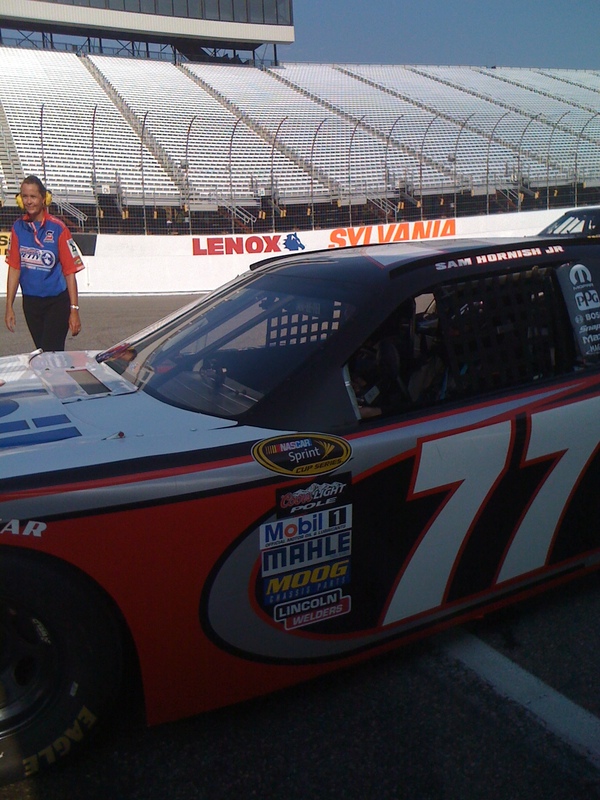 The Ride-Along Experiences are offered by Richard Petty Driving Experience. The ‘crew’ travels to different tracks on off racing weekends. 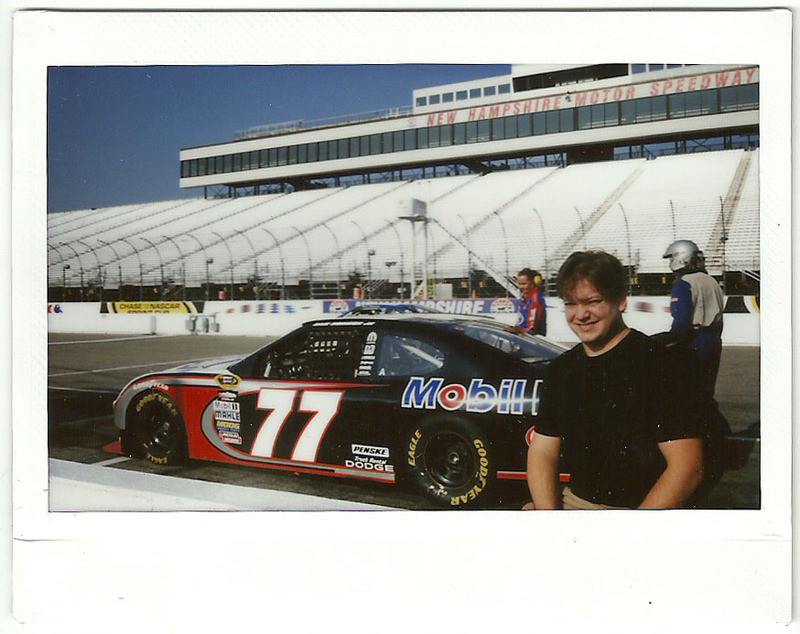 In this case we went to New Hampshire International Speedway, and the NASCAR race occurred the week before (Clint Bowyer won). I had called ahead to find out the details about signing up for a ride-along. They told me it was first come first serve starting at 9:30am. Based on that we decided to leave Boston at 7am so we would get in line first. Low and behold, there was no line since they started early!!! As soon as Price signed up he got to go on his ride along. At first he got suited up in a protective gear, then got a head sock on, then a helmet. They told him how to get in the car, which Price said was pretty easy. The crew woman put on a HANS device, hooked him in, and then up the the safety net. Price said the car has sooo much horse power that it makes your stomach feel like it’s sinking. It’s really hard to tell how fast you are going since there is no speedometer and everything was just whizzing by. He can’t imagine that the guys go even faster than what he did, and they do it with 42 other cars around them. 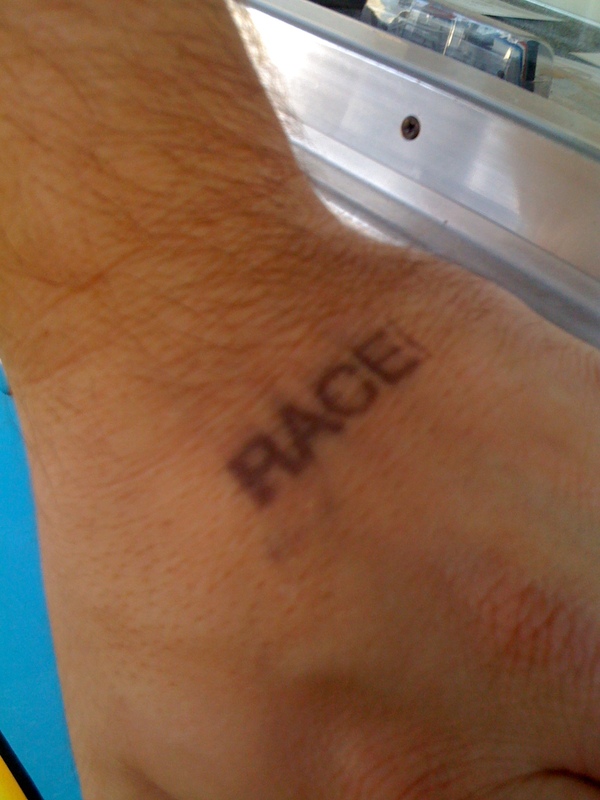 He had a great time and did not want it to stop at the 3rd lap.